Bosch Packaging Technology plans to introduce advanced version of its bar production system at the Interpack 2017 event scheduled to be held from 4-10 May in Germany. Designed to have output of up to 1500 bars per minute, the new integrated system is designed to manufacturer bars in primary packaging to meet customers’ demands for increased productivity, flexibility and quality. The new machine features Sigpack FIT product infeed with linear motor technology designed to allow push-button format change, as well as a very fast, non-contact product feeding. Bosch Packaging Technology product manager Josua Schwab said: “The rising number of bar variations requires highly flexible production machinery with short changeover times. 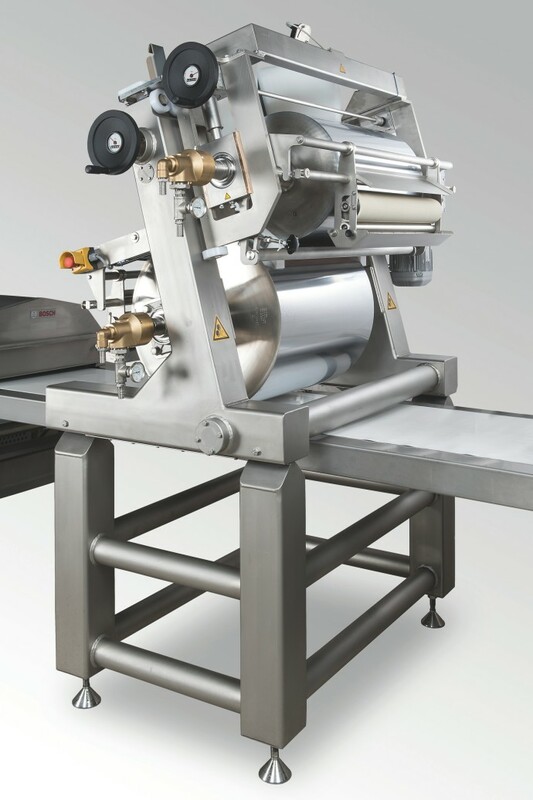 Additionally, the machine features Sigpack HRM flow wrapper, which can wrap film with speeds of up to 150m per minute, as well as a secondary packaging module, Sigpack PFI feeding, that uses linear motor technology. The Sigpack PFI feeding module allows the machines to transfer the product from the flow wrapper into the Sigpack TTM top load cartoner, which can form, load and close up to 150 cartons per minute. The new version of the bar production system also features Industry 4.0 solutions to increase efficiency and reduce potential errors. Bosch is also planning to showcase its WRF 600 Flex roller former as well as other technologies at the Interpack 2017 event. Image: The Bosch’s advanced version of bar production system. Photo: courtesy of Robert Bosch GmbH.